Shipping, for many, is a confusing subject. This is especially true when your business does not ship every day. Hotel managers are burdened with the task of shipping their guest's lost items. Many may not know where to start or which shipping carrier to pick. This article will review the main shipping options available and seeks to explain some of the pain-points that you may experience when jumping into the world of logistics. The top three carriers in the United States for domestic shipments are UPS, FedEx, and USPS (United States Post Office). Each carrier has its advantages and disadvantages. USPS tends to be less expensive than FedEx and UPS for packages under two pounds, but reliability may be sacrificed when selecting the Post Office. 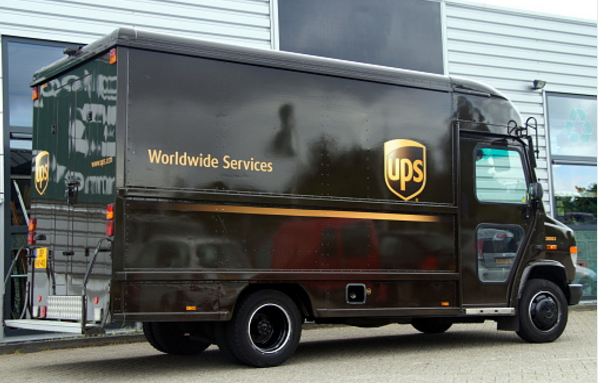 For time-critical shipments, it is advisable to select either UPS or FedEx because they guarantee delivery times. Shipping rates may seem scary, but there is method to the madness. Base shipping rates are calculated with the service level, zone, and billable weight. Carriers have multiple rate tables for different customers and your rate can vary greatly depending on which rate table your rate is being calculated from. A shipment's billable weight is either the actual weight or the dimensional weight: whichever is greater. Applicable discounts decrease the base rate, then fuel and accessorial fees are added to calculate the total shipment cost. Rate tables – Rate tables include UPS Retail, UPS Standard, UPS Daily, FedEx One Rate, FedEx Standard, FedEx Retail, USPS Retail, USPS Commercial Base, USPS Commercial Plus. Service level – The service level is the speed or type of shipping service that the carriers provide. Weight – The weight of the package being sent is an important factor in how carriers determine your rate; therefore, it is extremely important to use a scale for accurate rate quotes. Dimensions – The length, width, and height of a package may also play a factor in the rate. All three of the carriers mentioned in this article use dimensional weight; however, the Post Office only applies dimensional weight to packages greater than a cubic foot. Zones – Shipping zones are based on the distance that a shipment has to travel. Fuel surcharge – UPS and FedEx include a fuel surcharge percentage that varies month-to-month. The Post Office does not include a fuel surcharge. Accessorial fees – Carriers charge for extra services including: residential deliveries, collect on delivery, over-sized shipments, over-weight shipments, etc. Shipping carriers provide free shipping materials for select service levels. FedEx and UPS offer their materials for express shipping only. 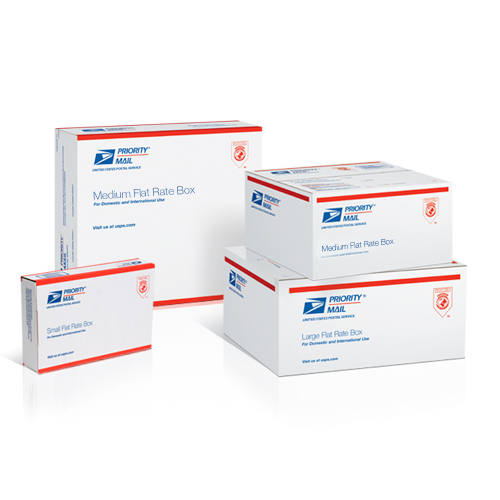 The Post Office offers their materials for express and flat rate shipping. UPS, FedEx, and USPS can all pick up shipments at your business. You can schedule pickups with USPS for free, but the other carriers charge for pickups. If a UPS driver stops by to deliver a package, feel free to hand your shipment off at no charge. Handing packages off to FedEx drivers is a little more difficult because FedEx Ground and FedEx Express are completely separate, so you might give your package to the wrong driver. All of the carriers accept drop off packages in their stores or in drop-boxes (if your shipment is small enough). So which carrier should I use? Even though each carrier has its advantages, the best option may not be a single carrier. For hotel managers looking to determine how to send their lost and found items to their guests, a combination of UPS, FedEx, and USPS may be necessary. The Item Rescue Lost & Found system has a feature-rich shipping tool built in. You can get rates for all service levels from multiple carriers at the same time. With so many options at your fingertips, you will be able to select the cheapest option at the level of service necessary to get your guest's item back to them. Our representatives are shipping experts and are available to you 24/7 to answer any of your shipping questions.